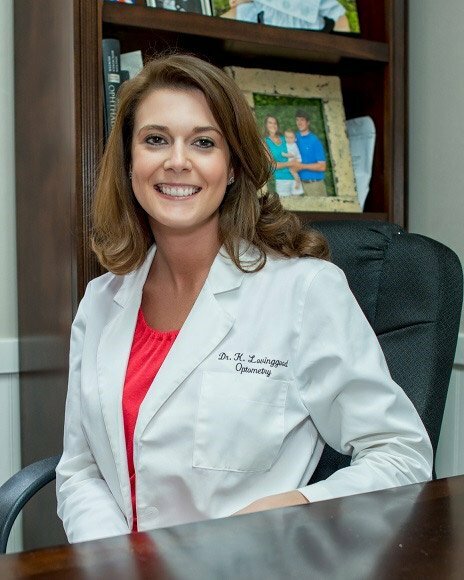 Born and raised in Selma, Lovingood attended Meadowview Christian School and then later went to University of Alabama – Birmingham optometry school. After spending eight years outside of Selma, Lovingood knew she wanted to return home. When she’s not busy taking care of her nearly 2-year-old son, Pratton, Lovingood said she channels most of her energy into providing the best eye care for her patients. Making sure she is the best optometrist she can be is paramount, she said. Within the next 10 years, Lovingood said she hopes to expand her practice so she can serve more people. Her office on Dallas Avenue, she said, is just the beginning. Aside from Primary Eye Care, Lovingood is involved in the Selma-Dallas Chamber of Commerce and a member of Church Street United Methodist Church. Staying involved in the community and keeping strong relationships is all a part of living in a small town, she said. Lovingood’s favorite thing about living, working and raising a family in Dallas County is the close-knit community it provides. Although it may not be as large as Birmingham or Atlanta, she said she wouldn’t want to live anywhere else.